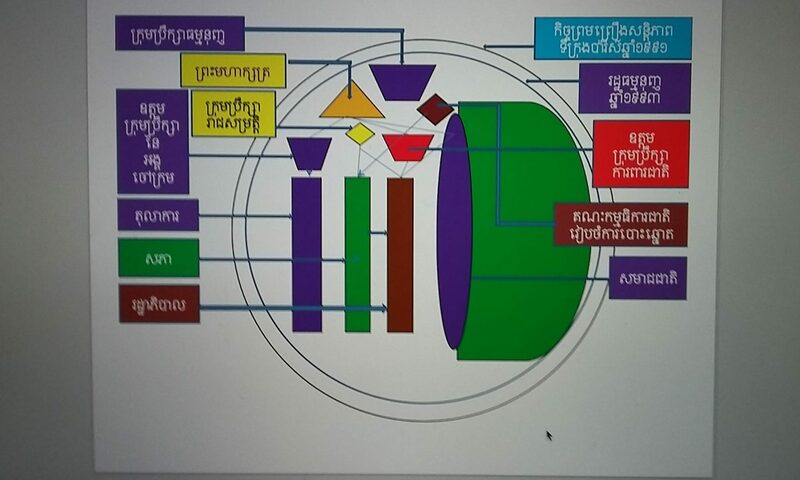 What is your vision about political development in Cambodia? Are you optimistic that better change is on the way? Well, I am certainly optimistic that the demographic trend of this country is pointing the way it is. Now whether the changes that are happening are in a way that the West would describe as democratic or not, I am a little less certain of. But I certainly think the future of Cambodia will be bright. I think that there is very good chance that whether Prime Minister Hun Sen remains in power in the medium or long term or not, there is going to be a need for his party to address the concerns of the people. I don’t expect Cambodia to become a democracy overnight, and I think it would be naive to expect that, but I do hope that the government in power, regardless of its political character, will create a system that is more just and fair to ordinary people. WASHINGTON DC—Editor’s note: Sebastian Strangio, an international freelance correspondent and former editor at the Phnom Penh Post, has recently published a book, titled “Hun Sen’s Cambodia.” After spending about seven years working in and writing about Cambodia, he decided to write a book about a country that is undergoing unprecedented political change and has the potential for economic prosperity. 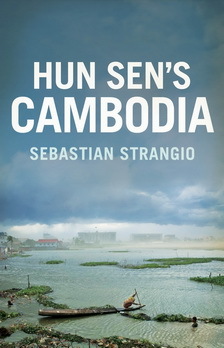 Strangio brings many aspects of Cambodian society to life, including the legacy of the Khmer Rouge, the failing roles of UNTAC, the autocratic rule of the current government, and the country’s recent economic development, income inequality, corruption, foreign aid, and human rights issues. 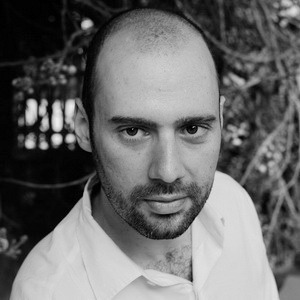 Strangio currently reports from Southeast Asia and the Asia-Pacific. His writings have appeared in more than 20 different publications. 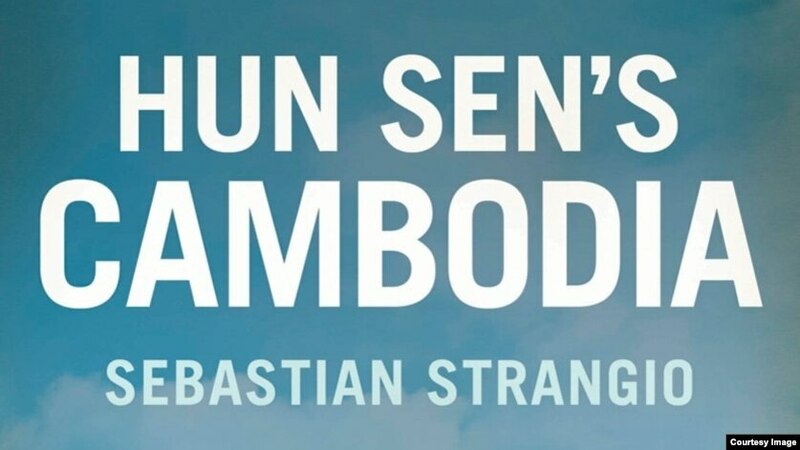 “Hun Sen’s Cambodia” will be released Oct. 31. Strangio recently spoke to VOA Khmer from Cambodia. Could you explain why you wrote this book? Well, one of the things that I noticed when I arrived in Cambodia in 2008 was that there is quite a gap. There were plenty of books on the Khmer Rouge period, and also covering [the period] of the 1990s and at the end of the 1990s. But beyond that there was not anything that really examined Hun Sen’s rule over the last decades. It was, you know, in some ways, there was plenty of information out there [newspapers] due to a lot of expert reporting, and NGOs and civil society produce a range of materials about the country today. But there was nothing that synthesized all this information into a cohesive narrative that included domestic changes and the international context of Cambodia. What are the issues that you mainly discuss in your book? My book provides a political history of Cambodia since the fall of the Khmer Rouge regime in 1979. That takes up the first half of the book. The second half deals with specific sectors and areas of society and politics today. So I look at land issues. I look at civil society. I look at business and the economy. I look at aid and development and international relations. From your point of view, how would you describe political change in Cambodia? I think the recent change has been driven by a profound demographic and social shift. If we look at the electorate that voted in last year’s election, 15 percent were voting for the first time, and more than that again were aged between 18 and 30. Cambodia is an incredibly youthful country, and what this means essentially is since the political control of the Cambodian People’s Party has employed since 1989, but especially since the UNTAC’s mission, this political control is starting to break down now. So since 1979 the CPP relied heavily on the fact that it helped overthrow the Khmer Rouge, and for a lot of young Cambodians who were born in the 1990s, this no longer has the effect on them that it may have had on their parents and grandparents, who are survivors the Khmer Rouge. I think that Hun Sen’s rule over the past decades has transformed Cambodia socially and economically. Illegal logging and land grabs and large-scale agricultural development disrupted the rural economy. Hundreds of thousands of Cambodians have fled to the cities in search of work, and many more have gone abroad and taken their chances as illegal migrants in Thailand. While there is a lot of wealth now being seen in Phnom Penh and the city seems to be changing day by the day and developing, the gap between the rich and the poor has only widened. So despite impressive economic growth, to many people in Cambodia the future remains uncertain. I think another thing also to discuss is improved communication, the spread of the Internet. The Internet enabled by the cell phone has challenged the government’s control of the political narrative. And people are starting to see localized instances of corruption and imparity as part of wider systemic issues, and people are starting to connect the dots. Does the book discuss the strengths or weaknesses of the opposition party? Yes, I certainly discuss their strength and the weaknesses. I think they were very clever in pitching their election message at garment workers and elderly people and offering wage hikes and pension rights. And they realized that the garment factory population in Phnom Penh and in some larger towns in Cambodia, they are living, the first and the second generation, to live outside their villages, and they no longer under the influence or control of the political CPP officials. So they are potentially a very receptive political audience, and I think the opposition party targeted them quite cleverly with promises of wage hikes. I think where the party faces a little bit more weakness is in its treatment toward the Vietnamese issues. I think that during the election and after, members of the [Cambodia National Rescue Party] have made quite brash anti-Vietnamese statements to the press and during public speeches to the Cambodian voters. And it seems to me this is an issue that resonates a lot with people but also undermines their credibility as a liberal democracy party in Cambodia, and I think that is something that they have to probably tone down if they want to retain their international support. What do you think your book will serve to the world about Cambodia? One thing about Cambodia that I discussed in my book is that it’s a country that when foreigners come to work in Cambodia, they immediately think of the Killing Fields and they have certain assumptions that go along with that. But a detailed understanding of the country is still lacking, and people tend to take very polarized approaches to the political situation here; either they are very pro-CNRP or very pro-government. But they seem to be not much on the middle ground. And what I tried to do is to synthesize the two positions and try to show and give a more genuine perspective of the country.